With Over 40 Years of Experience: Our Personal Injury Lawyers Handle Each Case Meticulously! Palmdale truck, car and motorcycle accidents can be devastating! Not only for those physically injured, but also for their families. Hospital and other medical bills. Loss of income and earnings. Unpaid property damage and rental charges. All these expenses and loss mount up! 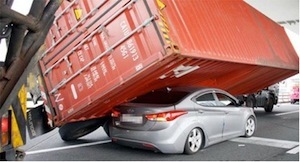 Have you been injured in a truck accident in Palmdale, Lancaster, Los Angeles county or anywhere in California? Do you need assistance in a wrongful death claim of a loved one who was killed in a fatal truck collision? We urge that you contact our experienced truck accident personal injury lawyers who are ready to assist your family and you in your case. We empower you with the freedom to focus on your injuries, getting better and the process of acquiring maximum compensation to recover your losses without being tangled up in the hassles of the legal system that our truck accident injury lawyers and law offices handle for you. You can contact us for a completely FREE & CONFIDENTIAL CONSULTATION. Click here or call us at 818-222-3400 or 1.866 INJURY 2 to reach us now for a quick and initial FREE case consultation and evaluation. For more details on our experienced personal injury lawyers, check our lawyer profiles. Please visit our Truck Injury Accident Advice Web Site to learn more about the personal injury claims process. Located in the center of northern Los Angeles County, California, the city of Palmdale and the city of Los Angeles are separated by the San Gabriel Mountains. On August 24, 1962, Palmdale was the first city to be incorporated in Antelope Valley. 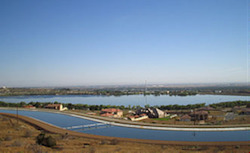 During November 2009, around 47 years later, voters approved it to become a charter city. 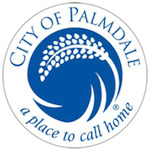 During the 2010 U.S Census, the population recorded in Palmdale was 152,750, making it the 33rd most populous city in all of California. 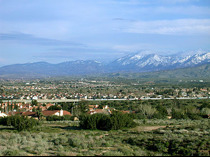 During 2013, the combined Palmdale / Lancaster urban area had a recorded population of approximately 513.547. Notable residents of Palmdale, CA include a number of Major League Baseball (MLB) Players, including Dana Eveland, Jason Kubel and Randy Kutcher. Truck accidents often lead to debilitating injuries and, in some unfortunate cases, even fatalities resulting in wrongful death accident cases. The mammoth size, weight and force of big rig commercial vehicles like 18 wheel trucks can be a major safety concern for those who share roads with them, particular in smaller vehicles like cars and motorcycles. Due to their great momentum, that is, weight times speed, large trucks often cause much greater damage and injury to passengers in smaller vehicle than the more typical car and auto collisions. 40 Years of Truck & Car Accident Experience You Can Trust! Determining the cause of a truck accident is of utmost importance when fighting a legal battle for compensation of your injuries and damages incurred in a truck collision. Insurance companies and large trucking companies are known to delay and fight such cases. The results of careful investigation and research may determine whether one is entitled to compensation and whether any reduction needs be made for comparative negligence or other liability factors. For legal assistance in these intricate details of your truck accident personal injury case, contact our experienced truck accident personal injury and wrongful death accident lawyers who can better explain things to you in a FREE CASE EVALUATION AND CONSULTATION by telephone or in person, as you prefer. For a quick and easy FREE & CONFIDENTIAL consultation 24/7, simply click here, and tell us about your Palmdale truck accident, car accident or any other personal injury case. And we work on contingency fees on injury accident claims which means that there is NO FEE until WE WIN!